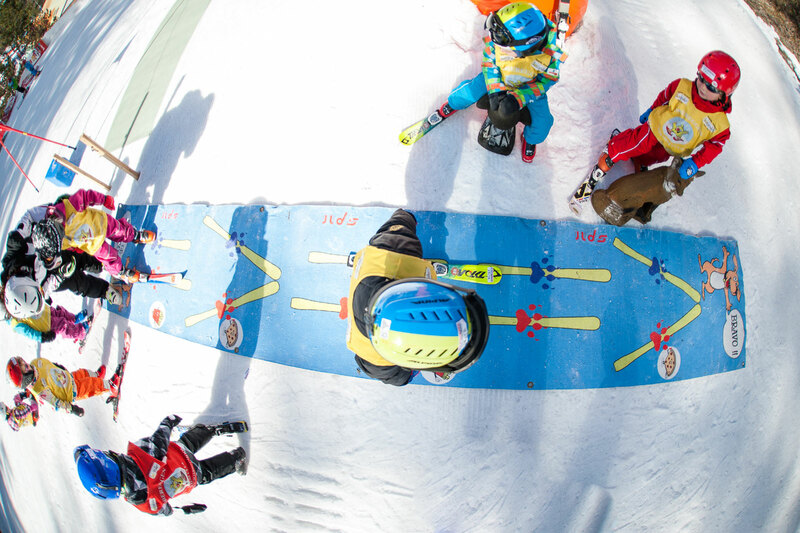 The world of the child and the world of skiing. 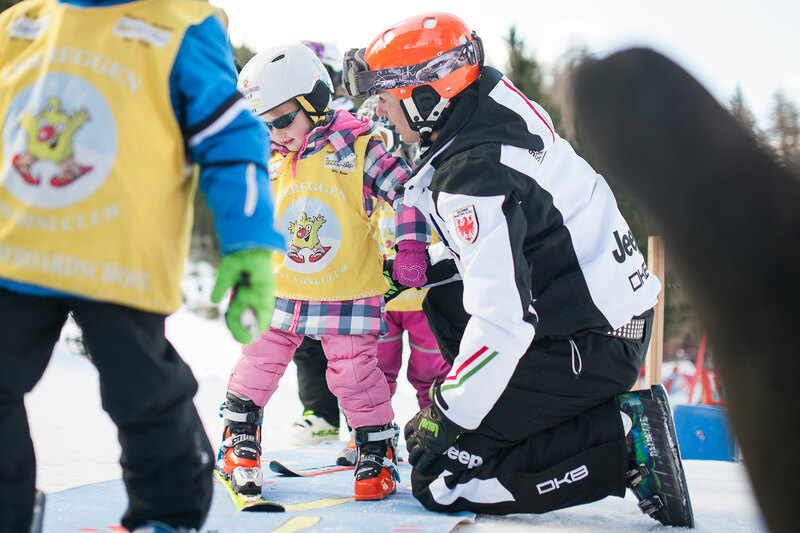 The ski instruction for children in the ski school Obereggen, has a unique path of its kind. 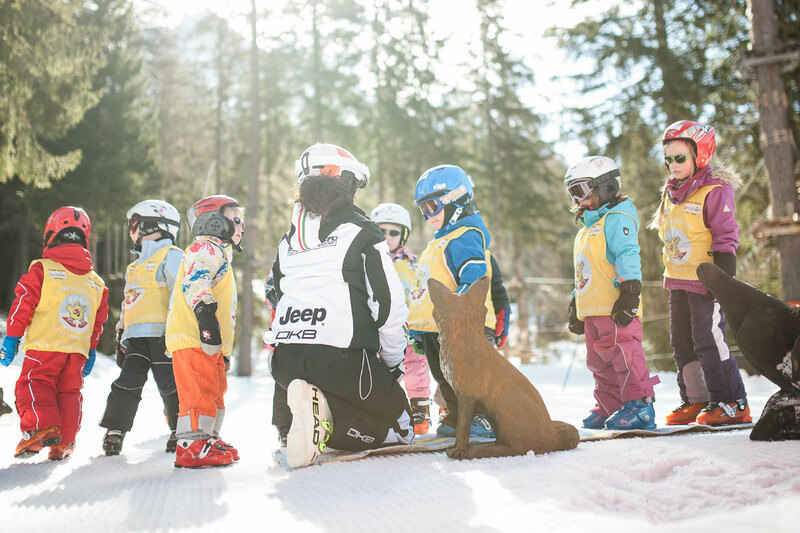 Through a completely innovative teaching, every child can find a peaceful and quiet environment, in which to develop his skills to learn the techniques of skiing. 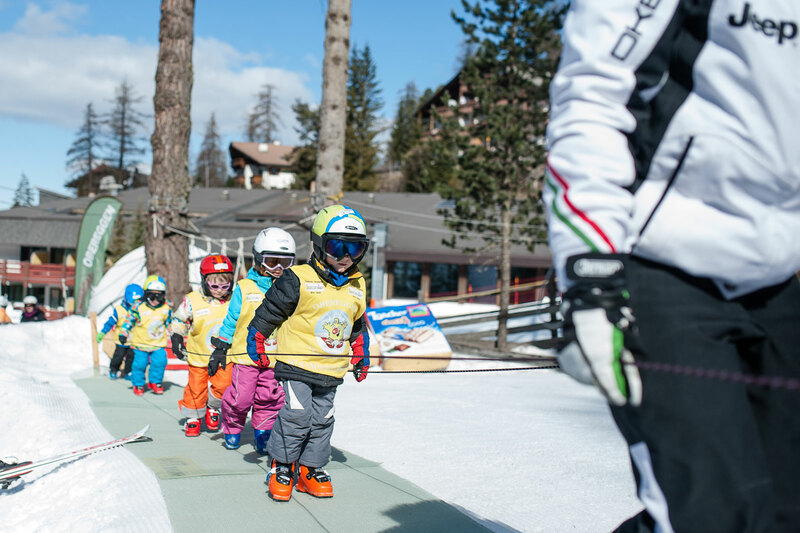 In a pedagogical vision that sees the child as the protagonist of his growth, with the game gives the opportunity to learn to ski with the utmost respect of the times and the typical mode of the different age groups of children. 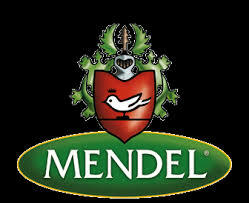 In our mini club we look after your children from 9.00 to 16.00. 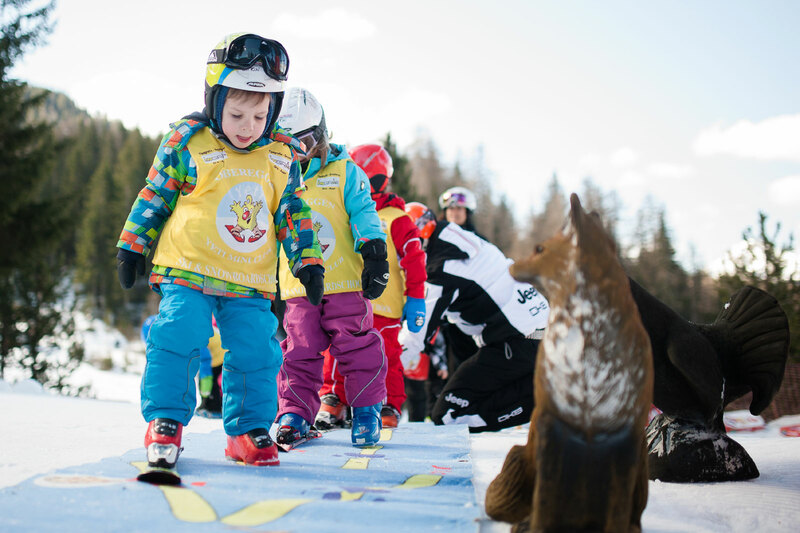 By the right mixture of animation, playing and entertainment even the youngest have a lot of fun and get enthusiastic about Mountain. During the first snow for children 3 years old, born before 30.11.2014. 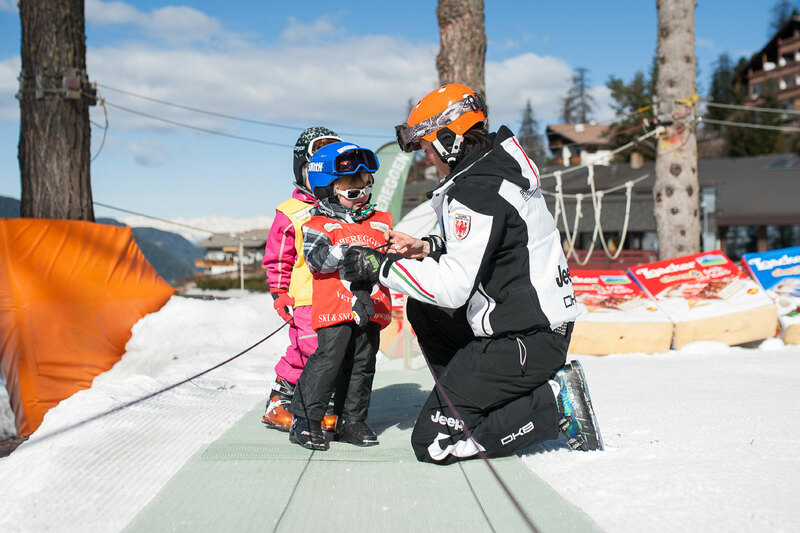 Pedagogical path made by our specialized instructors, specially designed for the little ones, with fairy tales and games for harmonious growth of the motor schemes for start skiing. Groups with between 3 and 5 children. 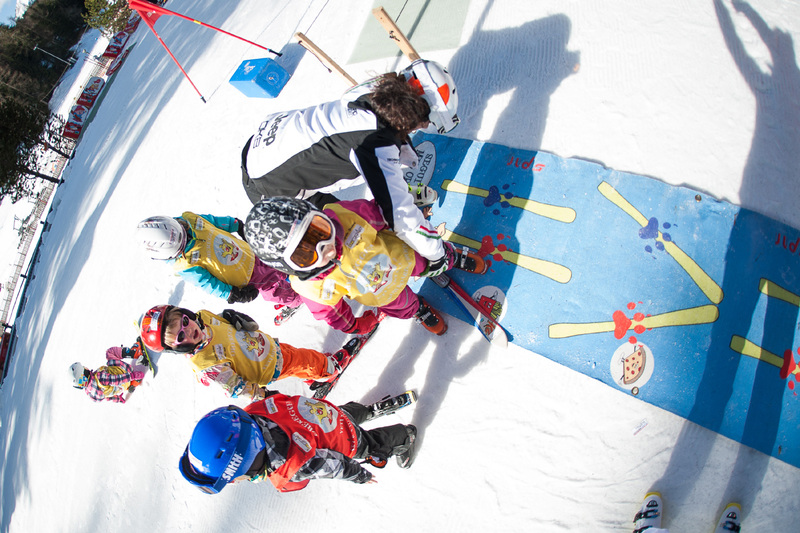 In ski school Obereggen YETI'S Park, children can have the first contact with the skis as early as 4 years. 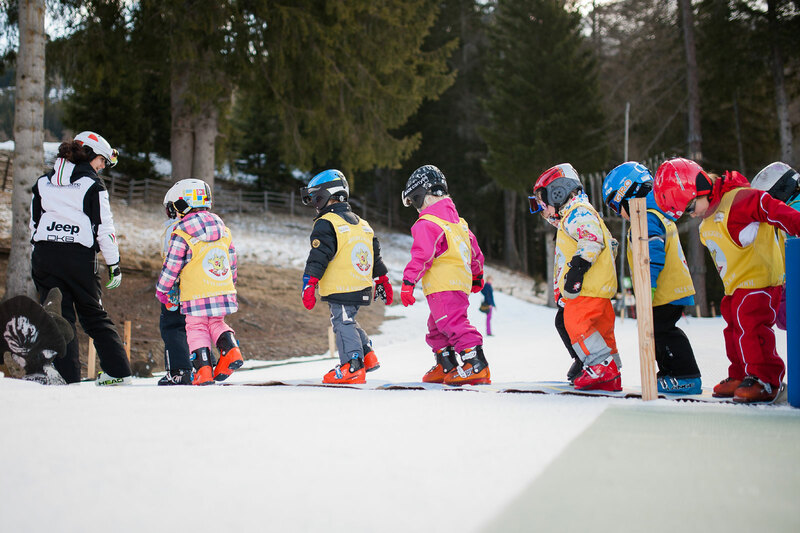 Our school , which for two years has collaborated with the College of ski instructors in the province of Bolzano , has designed and developed a path with new methods unsuitable for children to begin to enjoy the snow. In our parcs for kids we have modern lifts only for them. As highlight we organise a final race with distribution of prizes, medals and a certificate. (5- day course) Monday to Thursday from 10.00 am to 12.30 am and Friday from 10.00 am to 2.00 pm. Christmas 2018 (24.12.2018 - 05.01.2019) Course of 2.5 hours for 5 days. The course starts on 24.12.2018, 25.12.2018, 26.12.2018, and 31.12.2018, 01.01.2019 and 02.01.2019 at 10.30. Carnival 2019 (04.03.2019- 08.03.2019) Monday to Thursday from 10.00 am to 12.30 am and Friday from 10.00 am to 1.00 pm. 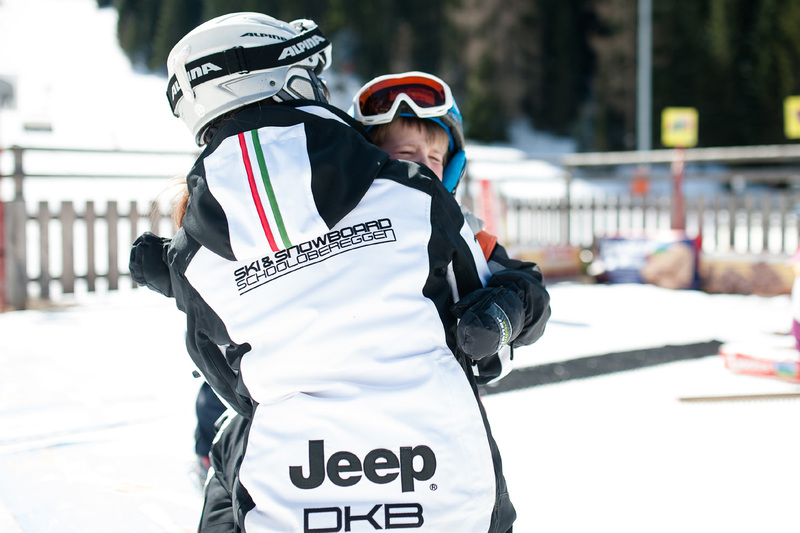 We offer you private lessons in all snow sports. Private lessons are taught from 8.30 am to 4.30 pm. However, the period of time from 10.00 am to 1.00 pm is reserved for group lessons. 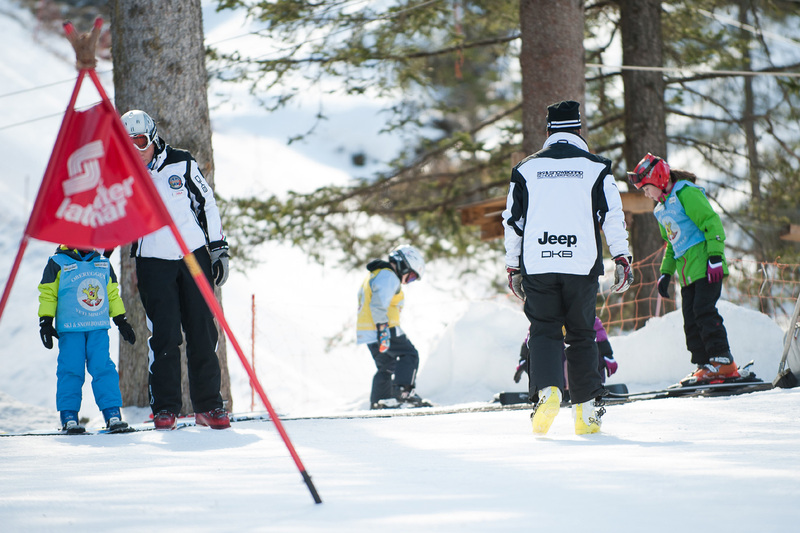 Our team is also disposable for private lessons at the night skiing. On Tuesday, Thursday and Friday, from 7.00 pm to 10.00 pm, with reservation.